Hybrid Armor iPhone Case Starting At $3.99! (Reg. $30) Ships FREE! You are here: Home / Great Deals / Hybrid Armor iPhone Case Starting At $3.99! (Reg. $30) Ships FREE! Everyone needs to make sure they have a case that not only looks amazing, but also protects your phone! 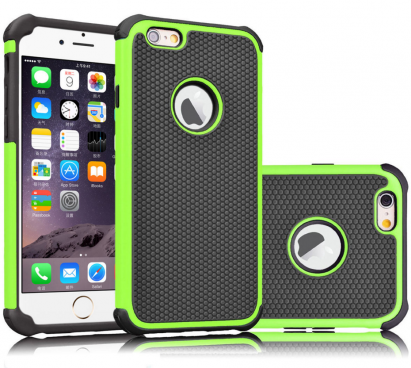 This Hybrid Armor Shockproof case for iPhones has a triple layer shell protection and comes in 10 amazing colors! Get yours now starting at $3.99! Precise openings for full access to ports and buttons. Available in Black, Pink, Red, White, Purple, Green, Blue, Light Pink, Yellow and Grey!